In today’s data driven world, a bike computer or speedometer is almost a necessity for any cyclist. The bike computers and speedometers not only display your current speed, trip distance and duration but there’s much more to it nowadays especially if you’re a data geek. The features can be anything from turn by turn navigation to structured training or even controlling the smart trainers at home. The number one question is always, which is the best bike computer? My answer is, it depends on your needs. There are those basic ones that cost less than $100, mid-level and premium ones that go as high as $500+. Here are some of the best bike computers and speedometers on the market today. With the Elemnt Bolt, Wahoo focused heavily on delivering a bike computer with a simple, elegant screen. Notably, it’s one of the first bike computers to be designed with aerodynamics in mind. Previously, bike computers were a bit on the boxy side until Wahoo began to streamline their designs using wind tunnels. Featuring both ANT+ and Bluetooth connectivity, the Wahoo Elemnt Bolt seamlessly pairs with your devices, creating a frictionless experience from ride to home to upload. Best of all, you can set up your displays directly from your smartphone in under 2 minutes. 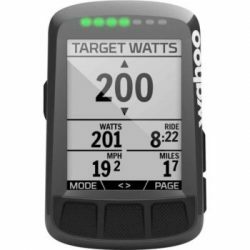 As an added bonus, the Wahoo Elemnt Bolt also comes with a free 60-day trial of the Strava Summit subscription. You get to try out the Strava live segment feature on the Elemnt Bolt for free! The Cateye Velo 7 brings you back to the early 90’s where wired bike computers are a common thing. It comes with a wired, fork mounted speed sensor and magnet for the front wheel spokes. Functionality wise, it’s probably as basic as you can go with a bike computer. It displays all the important data fields such as current speed, trip distance, elapsed time and time of the day. 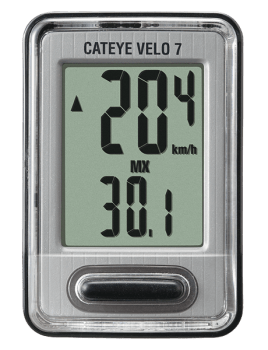 If you’re looking for a cheap bike computer to mount on your commuter bike, give the Cateye Velo 7 a serious consideration. If you want a simple and basic bike computer, the Planet Bike Protege 9.0 ticks all the boxes. Best of all, it’s wireless. It gives you all the important data you need such as current speed, ride time, trip distance, average speed, max speed, time of the day and temperature. It’s compact, lightweight design ensures it will easily fit anywhere along your stem (so riders with short stems need not worry), and if you happen to lose or damage yours, it’s inexpensive price won’t leave you smarting for too long. 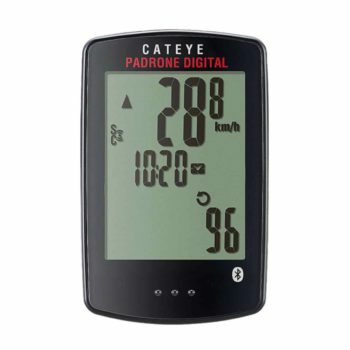 Cateye is the brand that started it all when it comes to bike computers. In fact, there’s a chance that your first bike 20 to 30 years ago came with a Cateye attached to the handlebars. Cateye’s bike computers have changed a lot in recent years. With the release of the Padrone Digital, Cateye pushes its beginner cyclist bike computer into a fairly luxe territory. Featuring a large screen that makes your ride stats really pop out, the 3-row display can show four different data fields, allowing you to toggle various bits of your ride information or keep them all onscreen at the same time. The Elemnt is simply a larger version of the very popular Elemnt Bolt. 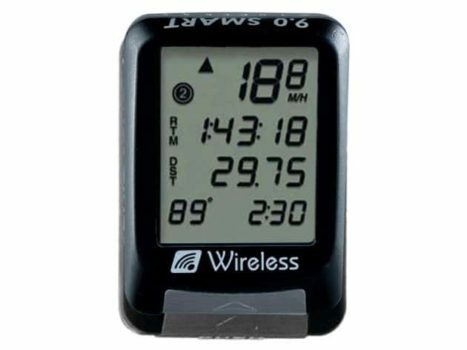 Designed for simplicity and ease of use, the Wahoo Elemnt is in some ways the opposite of the Garmin Edge 1030. Featuring the same amount of power but none of the eye-candy, the Wahoo Elemnt is the Swiss-army knife of bike computers directed solely at riders in need of a practical device. Featuring a full suite of connectivity (ANT+, Bluetooth and WiFi), it easily pairs with any sensor or device you have with ease. All of your performance metrics can be viewed and monitored live in one quick glance with the elegance of Wahoo’s LED Quicklook Indicator system, located at the top and left side. With live tracking enabled, you can share your current ride data and location with your family and friends who want to be kept informed of how you’re doing. 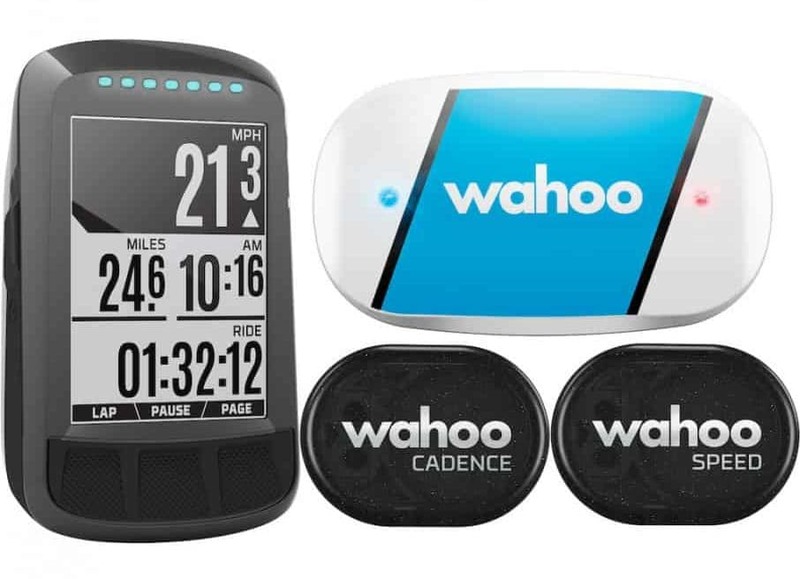 If the flash of other bike computers pushes you away, the Wahoo Elemnt might be exactly what you’re looking for. Garmin is the pioneer company behind navigation devices that are so popular nowadays. The name Garmin has become synonymous with GPS cycling computers. 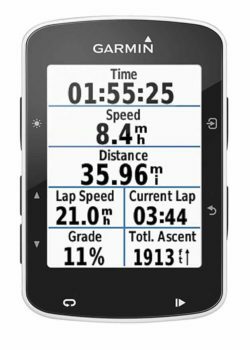 The Garmin Edge 500 bike computer set an early standard for cyclists more than 7 years ago. Now, the Garmin Edge 520 Plus picks up where that heritage left off. The main difference between the Edge 520 and 520 Plus lies in the advanced mapping, turn-by-turn navigation, performance and training features. It has a full suite of connectivity options (ANT+, Bluetooth, WiFi), a large color screen, and a longer battery life of up to 15 hours. On the training side of things, the Garmin Edge 520 Plus will monitor specific VO2 max levels when you sync it with your power meter or heart rate monitors. It’ll pair right up with your favorite training apps such as TrainingPeaks. 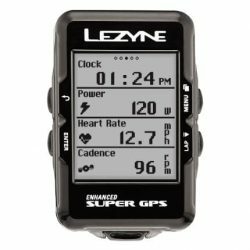 The Lezyne Super GPS is an excellent bike computer with all the features you can find on top end cycling computers. It uses a simple black and white screen. Hence, you can expect up to 24 hours of battery life. Apart from all of the basic features you’ve come to expect in a bike computer, the Lezyne Super GPS can pair with any ANT+ or Bluetooth sensors, and is fully compatible with electronic groupsets. Pairing the Lezyne Super GPS with the Lezyne Ally V2 mobile app enables it to display messages, calls, and turn-by-turn navigation. Notably, the Lezyne Super GPS is built with the advanced Glonass GPS chip which gives best in class accuracy and data recording. Without mincing words, the Garmin Edge 1030 bike computer can only be described as the Ferrari of bike computers. Featuring a massive 3.5″ screen that rivals your smartphone for display capability, the Edge 1030 delivers a sharp viewing experience that excels in rain or shine. Using the Garmin Connect and Garmin Map apps, you can pull data from billions of miles of user data or get turn by turn directions. Alternatively, you can create your own routes, upload them to the Edge 1030, and get lost without actually getting lost. 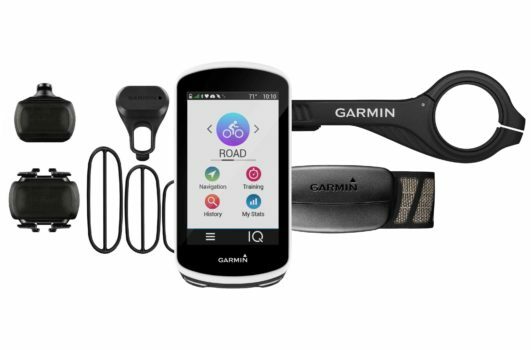 The Garmin Edge 1030 comes bundled with all the extra accessories such as speed and cadence sensors, and the heart rate monitor. The Omata One is not your average bike computer. Most cyclists’ first impression on the Omata One was, Wow! The idea of an analog bike computer started way back in 2009 with a drawing. 7 years late, it came to life and became one of the most popular cycling product on Kickstarter in 2016. It started shipping to backers in mid 2018. On the backend, it’s a digital bike computer but with advanced electronics, the digital data is converted into an analog display, which is what makes it stand out. It can display 4 data fields; current speed, trip distance, time and vertical ascent in either metric or imperial units which to some can be restrictive. But if you’re an old school road cyclist from the 70’s or 80’s, you’d appreciate its unique design. Bike computer these days come with so many features that makes the buying decision even harder. ANT+ or Bluetooth, perhaps both? Can it sync to my smartphone? Do I need the extra sensors like speed and cadence? I know there’s a lot going through your mind. So let me break it down for you. Here’s what you should look for in a bike computer. Bike computers can be divided into 3 categories, with prices for each category increasing as the amount and level of features rise. These computers are great for not only beginners but also those who know in advance that they don’t need complicated features. 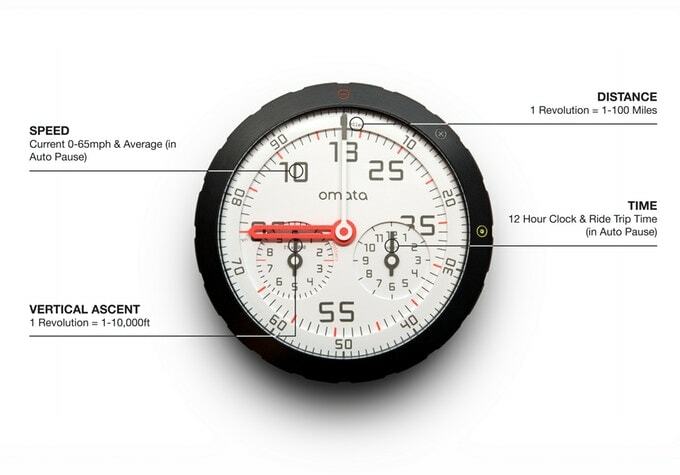 These only have basic displays with speed, distance, ride duration and time. It’s unlikely they’ll feature much connectivity beyond USB support. But again, it shouldn’t be much of an issue if you just need basic data. A good basic bike computer to begin with would be the Cateye Padrone. Those who desire a wider range of features will opt for a mid-range bike computer. You’ll get a bigger display, a customizable color screen, navigation, connectivity options (BT, Ant+, WiFi), and instant upload to your favorite online applications such as Strava. 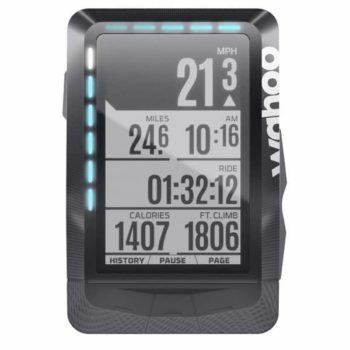 The Wahoo Elemnt Bolt and Garmin Edge 520 Plus are some of the best value for money, mid-range bike computers. Created for riders who want the full suite of features akin to those found on a smartphone. Premium bike computers take the features of mid-level computers and amplify them with advanced navigation, training modes, increased storage options, long-lasting batteries, sharper displays, bigger screens, and much more. The Garmin Edge 1030 is probably the most feature packed bike computer available today. Mid to high end bike computers tend to come bundled with various accessories such as the heart rate monitor, speed sensor and cadence sensors. These are optional extras. But if you’re a data geek, you might want to seriously consider getting them. These are usually ANT+ and/or Bluetooth compatible and will work with other brands since the ANT+/Bluetooth is an industry standardised technology. The bike computer you ultimately decide to buy will come down in large part to the type of interface you prefer and more importantly, how easy it is to use. Some comes with fully customisable screens with various data fields while some aren’t. When it comes to operating the bike computer, they range from full touchscreen to button operated, with some having a hybrid of both. It all boils down to your personal preference and how comfortable you’re with it. In general, the more features a bike computer has, the less battery life it will offer. If you opt for a bike computer with a large, dynamic and color screen with tons of connectivity options like the Garmin Edge 1030, then you can bet that it will run through its battery life faster than a basic model. Basic bike computers with small monochrome displays may not look beautiful, but they get the job done when it comes to longer-lasting battery life. Models like the Garmin Edge 1030 and Edge 520 Plus have a battery saver mode which helps prolong the battery life. 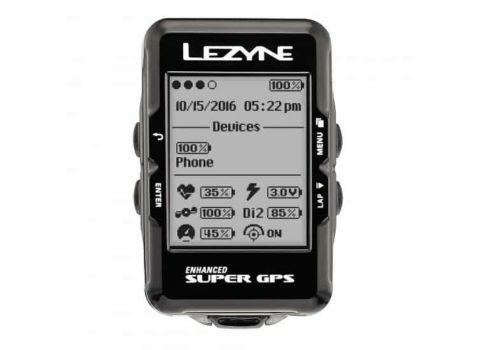 On the other hand, the Lezyne Super GPS is a high end bike computer that has a longest battery life, but without a touch and color screen. Here is where your individual needs will really come into play. Wireless connectivity will either be a make or break feature depending on what you want to do with your ride data. If you’re using apps like Strava or MapMyRide, or sensors like a power meter and heart rate monitor, then you’ll want to go with a bike computer that has ANT+ and/or Bluetooth capabilities. The lower down you go price-wise, the less connectivity options you’ll get. The least being USB-connection only. However, not everyone needs to share their bike data with friends, coaches, or on social media. If that’s you, then not to worry, you don’t need WiFi, Bluetooth, or ANT+ connectivity, and will do just fine with a basic bike computer. In recent years, a far more popular and sleek option for mounting a bicycle computer has come with aftermarket mounting systems that place your bike computer ahead of your stem. They’re generally referred to as out-front mount. These mounts are popular in large part because of their adjustability as they can be tilted up or down depending on your viewing preference. The Garmin Edge 520 Plus, Edge 1030, Wahoo Elemnt and Elemnt Bolt comes bundled with the out front mount, so you don’t need to get one separately. Choosing a bike computer is all about first determining what your current needs are and future needs. One important question is, do you ever need the navigation functions? If you’re intending to stay put on roads you know like the back of your hand, then you probably don’t need much, if any, navigation. But, if you’d like to discover new roads, or like to create routes at home and upload them to your bike computer so that it can guide you along the route, then choosing a computer with an advanced navigation would be a no-brainer. You might want to consider the Garmin Edge 520 Plus is navigation is an important feature you’ll use often. 1. Is there a cheaper alternative to bike computers? Yes there is. In fact, you can use your smartphone to function as a bike computer. Most cyclists today bring their smartphone with them while riding and using the smartphone as a bike computer is a very popular choice among commuters. Just install apps like Strava which does exactly what a bike computer does. It provides you with basic data such as current speed, ride distance and time of the day. 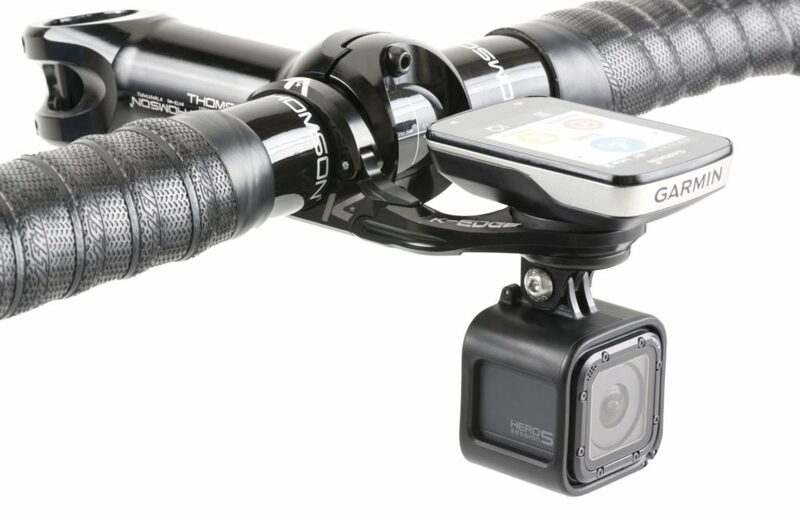 You’ll also need to get a secure and reliable phone mount to mount the smartphone on the handlebars. 2. Do I need the cadence and speed sensors? You’ll need speed sensors if your bike computer doesn’t use GPS. Cadence sensors are optional. Speed sensors. If you look around, most premium bike computers come bundled with cadence and speed sensors. These are nice to have especially the speed sensors. The bike computer computes your speed using the GPS signals. The only time the speed sensor comes into play is when you’re riding in areas without GPS signals such as through tunnels. However, if you’re using a bike computer without GPS capabilities, then the speed sensor is critical to measuring your speed. Cadence sensors. The only time you’ll really need a cadence sensor is if you’re training to a specific cadence. Otherwise, it’s a nice to have to be able to see how fast your legs are spinning, and that’s just about it. 3. Can I sync the bike computer to my smartphone? You can sync the bike computer to your phone as long as they support Bluetooth. For this to work, you’ll also need to install the companion app such as the Garmin Connect, Wahoo Elemnt or Lezyne Ally on your phone. Once synced, the bike computer can display things like incoming calls (useful to know who’s calling your mid-ride without taking your your phone from the back pocket) and messages. 4. How do I sync my rides to Strava? These days, synching to Strava is almost seamless if the bike computer has Bluetooth and WiFi connectivity built-in. You’ll need to link the bike computer to Strava during the initial set up phase and voila. Each time you finish your ride, it will automatically upload the ride data when it’s connected to your home wifi or via your smartphone’s Bluetooth connection. If you’re using a basic bike computer, you’ll probably need to download it to your computer via USB, and then manually upload the .fit or .gpx file. 5. Can I use a bike computer on a trainer? Yes you can for a bike computer that supports the ANT+ FE-C protocol such as the Garmin Edge 520 Plus, Edge 1030, Wahoo Elemnt and Elemnt Bolt. FE-C stands for Fitness Equipment – Controller, which is a communication protocol developed for bike computers/apps to talk to fitness equipments, such as a trainer. Ride a virtual course. You can create the course on apps like MapMyRide or RidewithGPS, load it onto the bike computer. It’ll then adjust the resistance on the trainer to mimic the gradient of the route. Ride a previous workout. You can re-ride a course you’ve ridden previously. Ride a structured workout. Once you’ve loaded the workout, the bike computer will sync with the trainer to adjust the resistance accordingly. This is sometimes referred to as ERG mode. Ride a manual workout. You can use the bike computer as a controller to manually set the trainer’s power/resistance levels up/down.